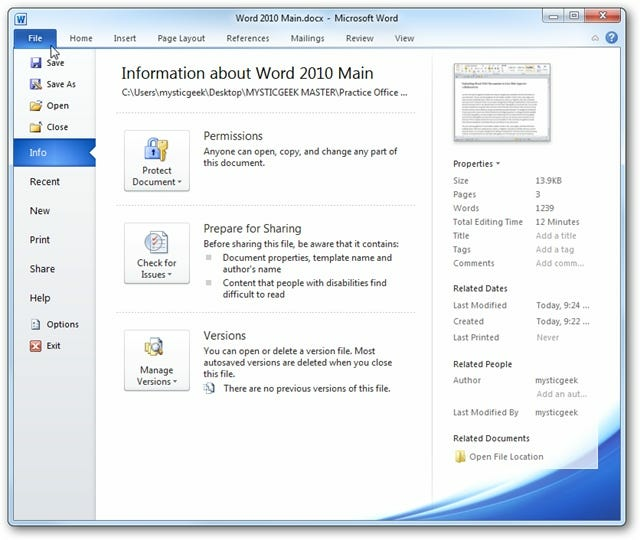 One of the major new features in Office 2010 is the ability to share and edit documents online with the Office Web Apps service. 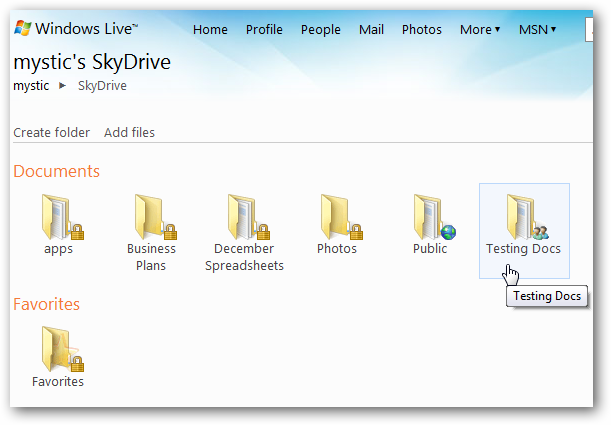 Today we take a look at how to save them to your SkyDrive for use in Office Web Apps. Note: To upload to Office Web Apps you need to install the Office 2010 Beta. 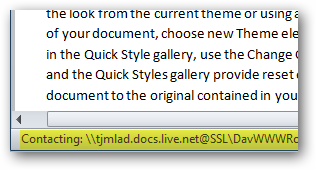 Open up the document you want to upload to Web Apps in Windows Live, and click on the File tab to open the Backstage View. 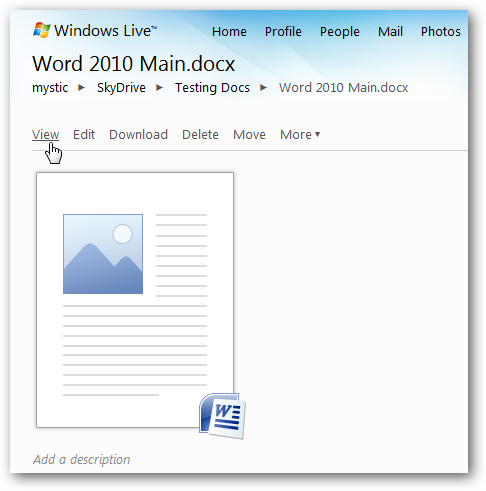 In this example we’ll be uploading a Word document to a Windows Live SkyDrive. With Backstage open, click Share on the left column and then Save to SkyDrive. 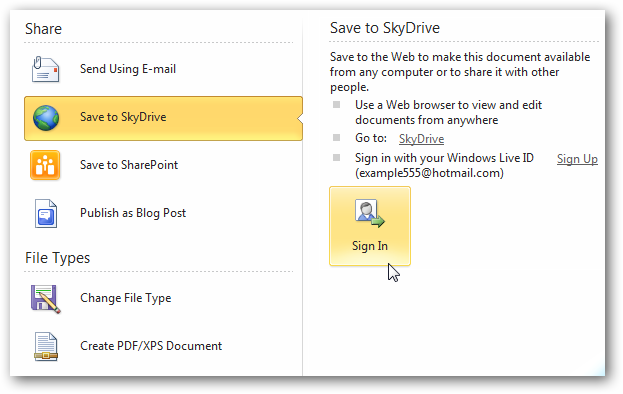 Under Save to SkyDrive click on the Sign In button. 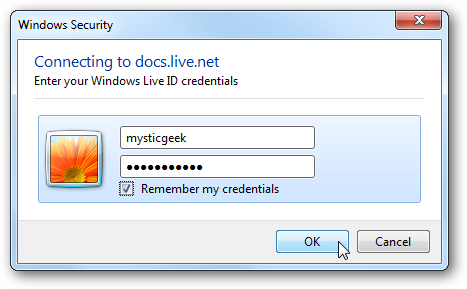 A sign in dialog box opens for you to enter your Windows LiveID credentials. 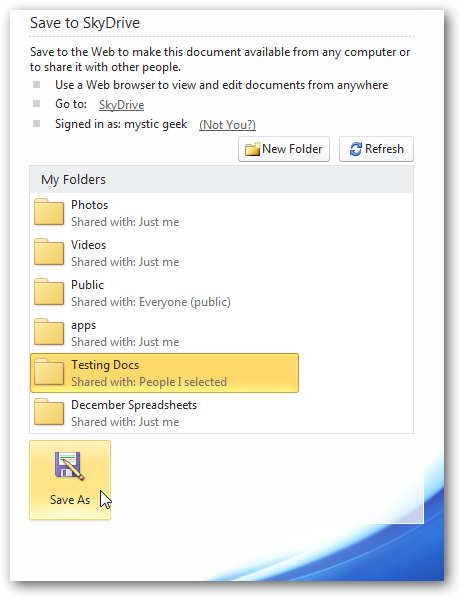 After you’re signed in, a list of the folders in your SkyDrive are displayed. 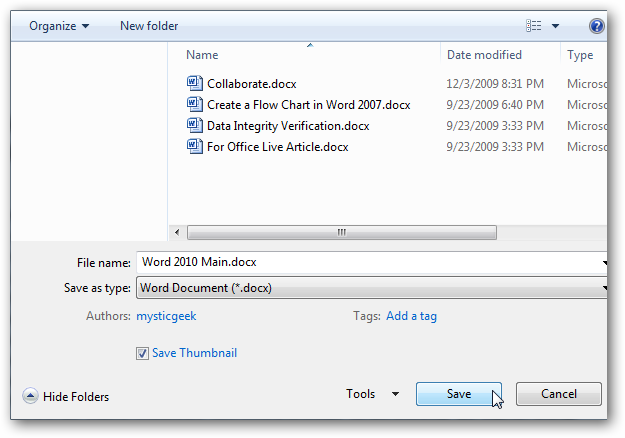 Highlight the folder you want to save the document in, and click on the “Save As” button. 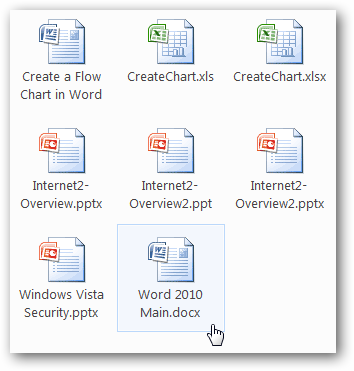 In this example we are saving this Word document in the “Testing Docs” folder in our SkyDrive. While connecting to your SkyDrive you’ll see the URL being contacted on the Status Bar located at the bottom of Word. Type in the file name, choose the file type, and click on the Save button. While the document is being saved to the SkyDrive, you’ll see the message “Uploading to the server” next to a progress bar. 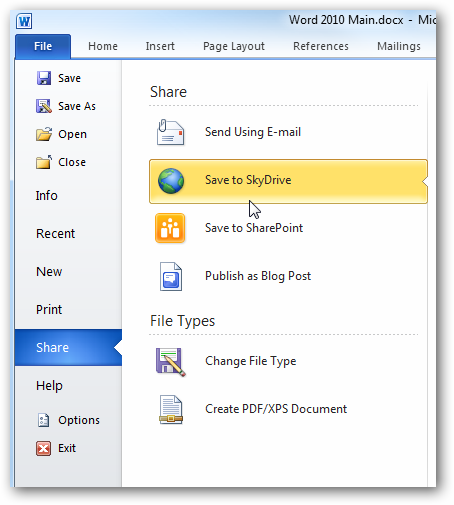 To access the document go into your SkyDrive and the folder the document was saved in. Click on the document you just uploaded. Now click on View to open the document. Here is a look at viewing the document in a pop out screen in Firefox. As of this writing, Office Web Apps are still in Technical Preview and there aren’t any editing functions for Word documents available, only viewing and downloading. Although Office Web Apps are still in the technical preview stage, this will give you a feel for what to expect. Currently you can use Web Apps to share Word, Excel, PowerPoint, and OneNote documents with each having it’s own varying degree of editing capabilities. 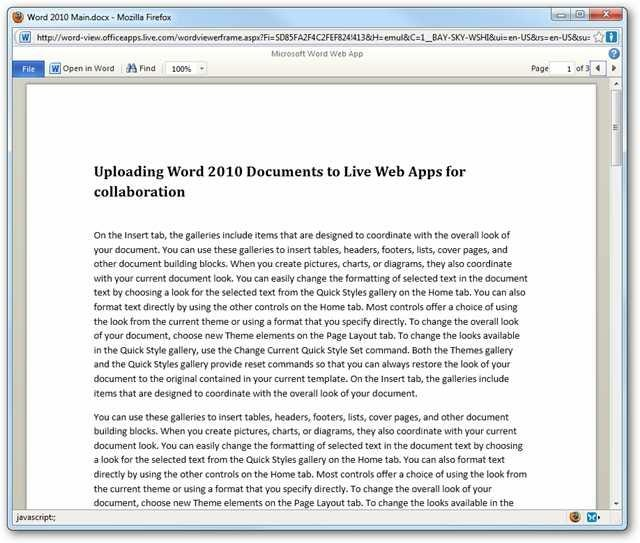 If you’re an early adopter and currently testing the Office 2010 Beta, this should get you started uploading documents so you can explore what Web Apps have to offer.